Am I the only one who cannot find a line of travel guides that they really, truly like? There are some that come close to making the cut, such as the Louis Vuitton guides, but they don’t have the pictures I crave and tend to be too detailed. I think I have purchased every guidebook that was every made about Paris, which happens to be one of my favorite cities in the world to explore. I have yet to be totally impressed. No guide has ever matched just walked around or knowing where to go from a “local”. Which was why I was so thrilled to hear that one of my favorite design teams is expanding from ceramics to city guides! 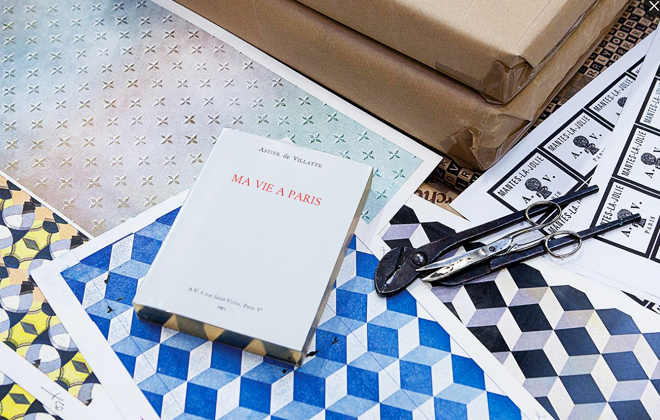 Hailed by the makers as “a practical guide from a team that knows Paris inside and out,” Astier de Villatte’s newest edition is the absolute top of the line luxury travel guide for the anti-tourist. Sounds perfect, doesn’t it? With gold leafed edges and letter pressed pages, the book looks more like a novel than a travel guide, which keeps your travel status low profile, letting you blend in with all the other chic Parisian cafe-goers. Let’s call it incognito tourism! 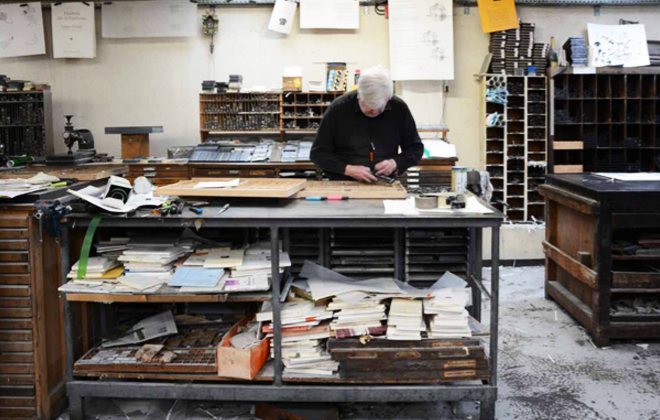 In 2015 the duo bought the traditional letterpress shop they’d been working with for years called Société des Ateliers et Imprimeries Graphiques, or SAIG. 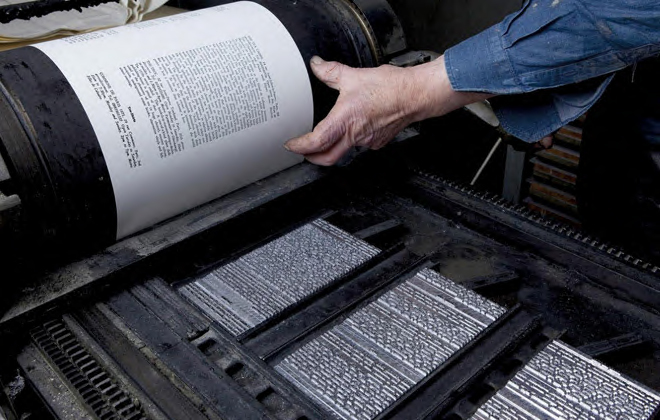 Although they have taken over from the previous owner, Francois Huin, who at 77 years old has been mastering the linotype machine at SAIG for 52 years, he is still in charge of the press. 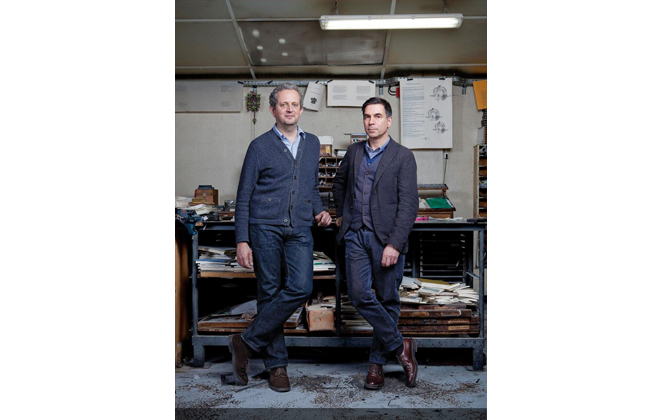 Astier de Villatte’s Ivan Pericoli (left) and Benoît Astier de Villatte at their printing workshop they bought for this project. This photo and article cover photo credit: Julie Ansiau for WSJ Magazine. Francois Huin, at the press where he has worked for 52 years, is still hard at work. Photo by Ricardo Bloch. The letterpress in action. Photo credit: Julie Ansiau for WSJ Magazine. 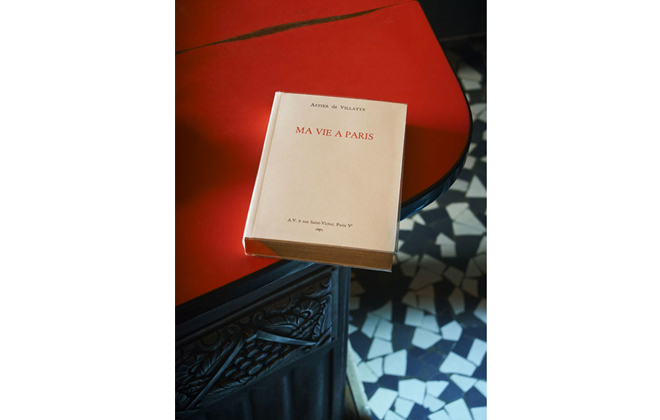 And it’s not just the printing and craftsmanship that shines in this hefty volume, the content itself reveals all the Parisian classics, as well as some secret favorites and off-the-beaten-path must-finds straight from the founders themselves. 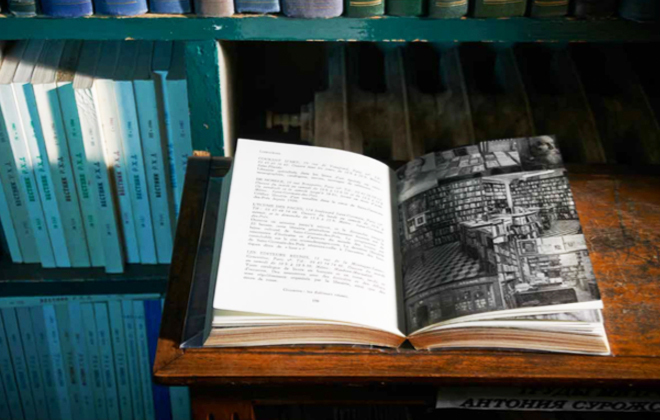 The sections focus more on the ambiance and feel of a place, rather than simply the boiler plate explanation, giving the reader an insight into a more experiential way of sight-seeing and traveling, really looking out for those one-of-a-kind experience, rather than a list of things to simply see. Sign. Me. Up! As you all know, I’ve loved Astier de Villatte for many years now, and have even managed to gain a bit of a collection of their now coveted white ceramic tableware. One day I might show you the Belgian cabinet that I have filled with their goods! I am so glad to see them branching out into these exciting new endeavors. I know it will be good. Really, really good.